The metals space is sort of in a holding pattern, waiting for two things: a US-China trade deal and something other than sideways from gold. There hasn’t been any tangible trade deal progress of late; the two sides keep meeting and Trump has tweeted that an agreement is near but we’ll all believe that when we see it. Without a deal, markets keep muddling along. Yesterday the IMF cuts its forecast for world growth this year to 3.3% from 3.5%. While issuing its new estimate, the group warned that further cuts are likely if the US-China trade war is not resolved or if Britain goes through a disorderly exit from the EU. Sounds like the IMF and I agree on something: we need a trade deal to get global growth back on track. What I think is quite interesting, though, is that several key base metals and bulk commodities are doing darn well despite the lack of clarity, performances that highlight just how tight supplies are. The price jumped in January because of the Vale tailings dam failure, which forced the major to shutter a slew of mines. The recent spike is because cyclones in Australia are damaging ports and rail lines, putting supplies at risk in the near term. Sure, ports and rail lines will be fixed. But the fact that the price responds this much to near-term supply risks highlights how tight supplies really are. And iron ore mines aren’t the kind of thing that come online quickly in response to tightness. On the copper front, the price has been sideways for four months, trading between US$2.90 and $3 per lb. This time last year copper was nicely above US$3 per lb. The price pullback has meant miners are slowing down their ‘go ahead’ decisions for new projects. That’s one of the big headlines emerging from this week’s big copper event, CRU’s World Copper Conference. The host, market research group CRU, estimates that it will take a copper price of US$3.20 to spark the next wave of build decisions. That means copper supply lies in the balance. At the moment, most analysts see copper supply just meeting demand this year but coming up short next year. As I’ve said before, copper is always a tight market so supply risks matter. And looking out along those production growth forecasts, one significant risk is ramping up: the Democratic Republic of Congo. Three majors miners with operations in the country are reviewing plans to invest at their operations, which as it turns out are all running out of oxide ore and need significant money to transition to sulphide. The miners are assessing whether those investments are worth it now that the DRC has again hiked resource taxes. Should they all decide against extending those mines, copper supply growth won’t stand a chance of meeting demand. Closer at hand, copper supplies are under threat in several places: there are rainfall and community protest issues at the huge Las Bambas mine, there are ramp-up challenges are three major Chilean mines (Caserones, Sierra Gorda, and Codelco), and the transition to underground block caving means output is suffering at Grasberg. With stockpiles low, threats to supply are more impactful these days than usual – hence the price staying supported despite sliding estimates of global growth. Let me finish this quick copper comment with another note from the World Copper Conference. Teck Resources president Don Lindsay gave a keynote address and the quote therefrom that has been making the rounds is “the could is made of metal.” Without metals – and copper in particular – our way of living and, in particular, our technologies just don’t work. 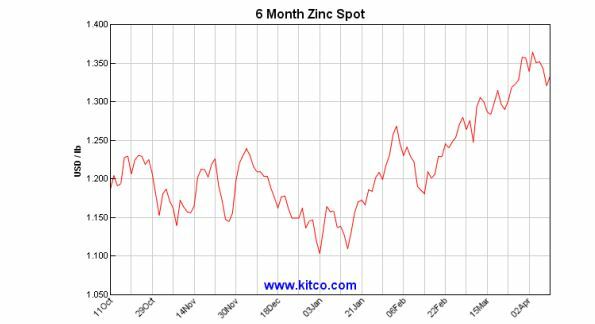 Zinc has also been marching up. I’ve gone through the zinc argument many times. The market is just supplied this year but that assumes the big new contributor to supply – the New Century tailings reprocessing operation in Australia – ramps up smoothly…and early indications are that things are not going particularly well. If New Century stumbles or if demand is even a bit higher than expected, zinc will be in deficit – and that matters because zinc stockpiles are almost nonexistent. There are only a few days of zinc available in warehouses, so there is no cushion for a supply shortfall. There’s nothing any of us can do to bring the metals bull market forward. We need a US-China trade deal. However, I really like seeing strength in zinc, iron ore, and copper while we wait. These markets are tight and these commodities are essential – and those realities shine through the mess. The metals markets are quiet because of this holding pattern. 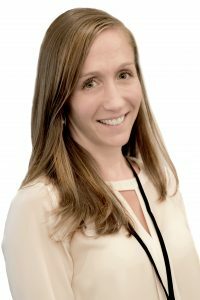 The seasonality of exploration news is adding to that: the summer field season for projects in the northern hemisphere approaches, which means many companies are hunkered down ensuring exploration permits are in place, drillers are contracted, geophysical survey grids are laid out, and camp cooks are hired. Those things are all important but, for the investor, this time of year means a dearth of news. Well, there is a fair amount of one kind of news: financing announcements. There’s no point planning a field season if you don’t have money, so raising capital is the other big spring challenge. For some companies, it’s easy. Last weeks recent addition to the Maven portfolio, raised $2 million in an oversubscribed private placement in a week. And its share price jumped during that time, gaining as much as 30% in a day on Monday. The reason? There was so much interest in the financing that lots of people either got left out or got a smaller allocation than they wanted and so they bought in the market instead. The company in today’s letter, Compass Gold is also having no trouble raising capital. It hasn’t seen a price spike but I know they have more interest in their financing than they have space. Of course, these stories are the exception rather than the rule. For most companies, financing is a slog. I can think of a dozen companies offhand that have had financings open for weeks, which means they are struggling to find enough investors. The difference comes down to that dividing line I described a few weeks back: the Haves and the Have Nots. The Haves are the select group of companies that the market really likes. To get into that group a company has to offer a full suite of desirable characteristics: tight share structure, top notch management, capital on hand, and standout projects, whether that means low risk, ultra low cost mines exceeding guidance or best-in-class new discoveries or clear upside as gold strengthens because of projects with Strength & Splash.